I must admit that I have been super excited to publish this post! It is not always easy to find a GREAT book with insects and bugs for preschoolers. 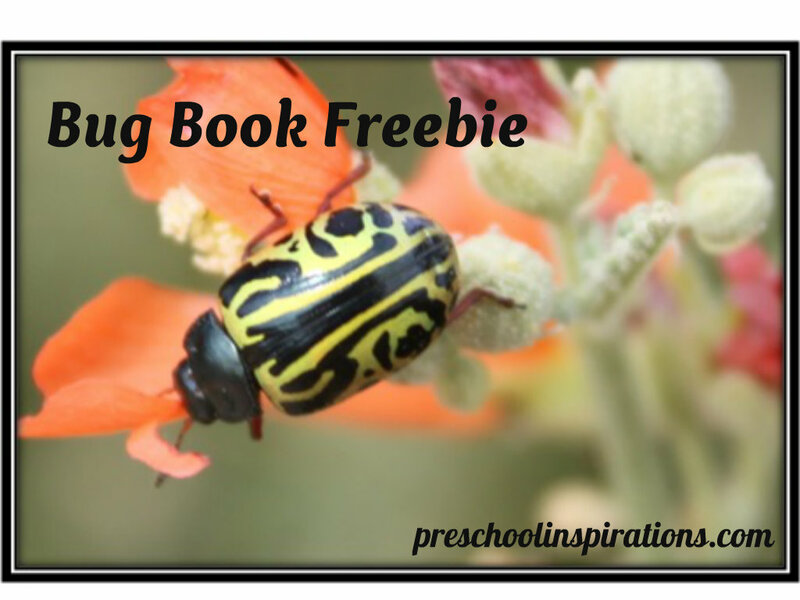 Well now here is a fantastic bug book for you to add to your book collection, and it is completely free! This wonderful resource is brought to you in part by Marta Wood, my very talented and knowledgeable cousin. She has a strong passion for all things nature and sharing this information with young children. “I am the proud mother of 2 small-ish boys; one of which has been a bug-lover since the tender age of 3. I work part-time as a geologist for a small environmental firm in New Mexico. I am so blessed that I am able to do the majority of my work from a home office which has allowed me to stay home with my precious boys. We hope you enjoy this book, and I guarantee you will learn something new while reading through it! There is a blank page near the end of the book so that your child or class can add an extra bug of his or her choice. *Unless otherwise noted, all photographs are copyrighted to Marta Wood. They can be reproduced as part of this booklet for personal or single classroom use.